Following on from the huge success of July Child‘s cover of ‘C O O L’ by Le Youth (aka Cassie’s ‘Me & U’) is the North London duo’s new track. 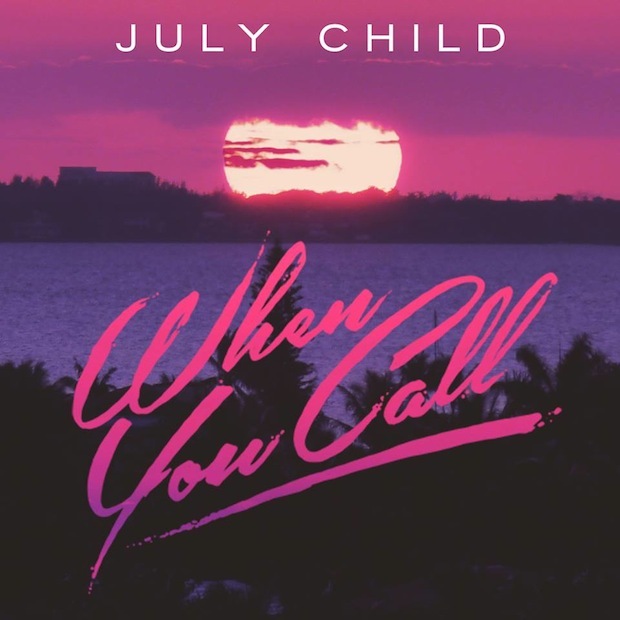 ‘When You Call’ is an ambient electronic tune full of throwback vibes and soulful beats, and there are even glimpses of influence from the 80’s legend that is Phil Collins. Have a listen below and click for a free download. July Child was formed by Kiyon Samavat (aka Kiks) and Amber Clara; two Londoners who were both born on 29 July 1991. It’s hard to believe these guys are only 22. They already have their own label (Paper Thin Records Ltd) and have self-written, recorded and produced their debut album. Expect to hear a lot of amazing material from these guys. The duo will be performing a headline show at the Barfly, Camden on Saturday 26 April 2014. Support will come from Molly Beanland and Empty White Circles. Tickets can be purchased here.